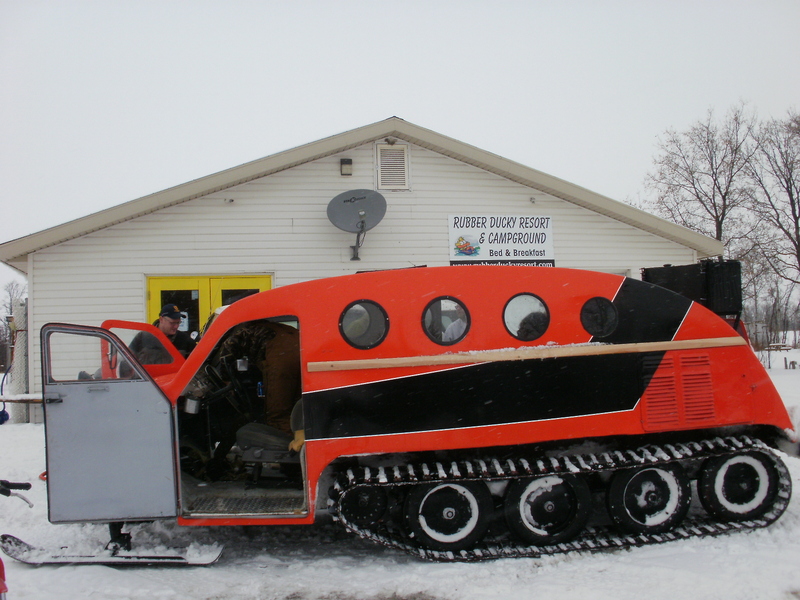 Now that is my kind of snowmobiling – it was nice and warm inside. We loaded 7 adults and 3 kids inside and headed out for a ride. Now that we are getting full swing into the new year we have been doing some planning for this year’s advertising campaign. Hopefully February goes fast and then we get into the Boat Show and RV show in early March. Once they are done it seems like no time before we are into camping season. I have already started bribing Mr Groundhog so that he will give us our early spring that we sooooooooooo deserve. Tomorrow I am going to a Creative Tourism Marketing Course in Gimli and will hopefully come back with some new ideas.